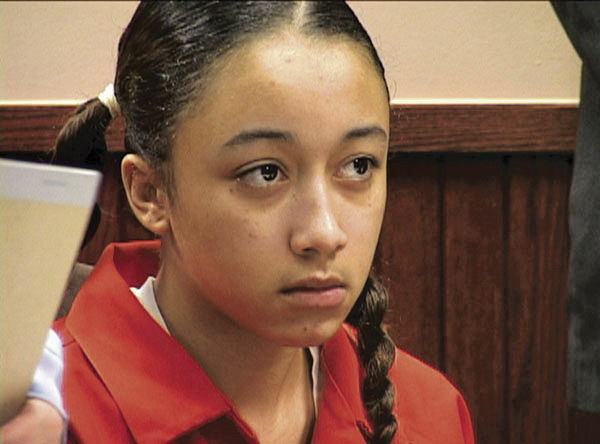 Cyntoia Brown's mother claimed to have drunk a fifth of whiskey everyday during her pregnancy. Brown is now 29 years old and has been described as a “model inmate”. She received her GED in prison and is on her way to attaining a Bachelor’s degree from Lipscomb University. Despite these few bright spots, the injustice of her case is astounding. Brown was owned by a pimp named Kut Throat after running away from her adopted home in Clarksville, TN, when she was only in elementary school. After being hired out as a prostitute by an adult man when she was 16, Brown defended her life by shooting him. She was tried as an adult, convicted of first-degree murder and is currently ineligible for parole. She will remain ineligible until she is 69. The prevalence of male sexual violence in this country is at once absurd and terrifying. According to the Centers for Disease Control and Prevention (CDC), most murders of American women involve domestic violence. The perpetrator of the mass shooting in Sutherland Springs had domestic violence charges against him years before he committed that atrocity, and the Washington Post has reported that several other mass shooters – in Orlando, Texas and other cities have domestic violence in their histories. The social media outcry surrounding Brown’s situation is absolutely warranted and necessary. Amidst the tidal wave of sexual assault allegations in Hollywood, Washington, Silicon Valley and basically every other industry, it is far past time to address the other ways that male sexual violence goes unaddressed in this country, including the double standard applied to women who attempt to take their fate into their own hands. Again, this case is from 2004. Any action to keep Brown out of prison definitely could have been taken 13 years ago. But 2004 was a very different time; there wasn’t an ongoing discussion about violence against women like there is now. Not only that, but social media has allowed for news of Brown’s situation to become widespread. Social media has also allowed those unaffected by sexual assault or unaware of it to learn about the issue and see how deeply embedded it is in our society. Though not many have been receptive towards this change or have actively spoken against it, the movement for justice for women has gained traction. However, it’s easy to tweet about solidarity for women and other sexual assault survivors, the real challenge lies in the action taken to help them. These conversations are important, and they spread awareness about the issue, however those of us who have the ability to take action should be doing so in our everyday lives. Taking action against gendered violence can ensure in the future that there won’t be another case such as Brown’s, that young women in danger will have the power to defend themselves against their abusers without fear.